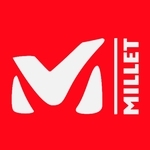 When you want to tackle the world's toughest climbs in some of the world's toughest regions, you need a boot that has been specifically built for the task, such as the men's Davai Mountaineering Boot from Millet. A PTFE membrane combines with a built-in gaiter to help keep moisture and snow outside. The Cordura and Superfabric uppers are extremely durable and abrasion-resistant, so you don't have to worry about what your boots are doing while you're struggling to place your next piece of pro. 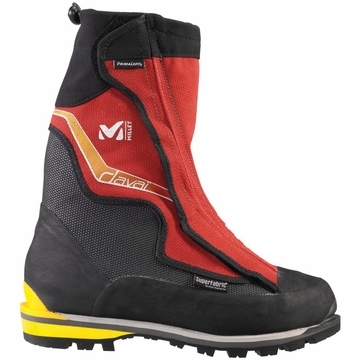 Belaying in the snow on long pitches can be really cold on your feet; luckily, Millet added Primaloft synthetic insulation throughout the Davai to maintain warmth and circulation through the boot. An EVA midsole provides cushioning for those long, all-day pushes, and the Vibram rubber soles ensure traction when you're on top of the world. The Davai is compatible with all types of crampons, so there's no need to change anything up just to upgrade your boots.